Are the Scriptures a mystery? Are doctrines such as heaven, hell, God's omniscience and immutability, eternity, God's Predetermining of all things, the Trinity, and imputation of sin and righteousness to be considered as mysteries? It is considered humble to suggest that these things are mysteries and cannot be understood. But I contend that such a claim may be very well rooted in pride! Just because a person cannot comprehend the propositions set forth by Scripture does not at all mean the Lord has not revealed understanding to someone else. It is prideful to suggest that men cannot comprehend what you necessarily cannot. 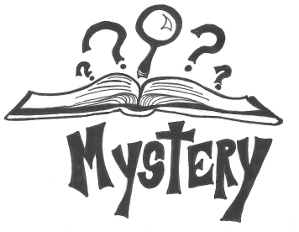 So what exactly is a mystery? As with anything, we must go to the Scriptures for understanding. Rom 11:25, (KJV), For I would not, brethren, that ye should be ignorant of this mystery, lest ye should be wise in your own conceits; that blindness in part is happened to Israel, until the fullness of the Gentiles be come in. As we can see from Scripture, mysteries are those things which are hidden. But do we notice anything else about the mysteries of the Scriptures? Some are made to be known! They are to be discovered and understood. We do not "accept" the mysteries of the Scriptures by "blind faith", but we seek to logically understand the propositions set forth by Scripture and rejoice in the knowledge which is given to us by the Lord. Mysteries are those things that most people cannot comprehend, but are understood by God's elect. So how does this teaching apply to us today? The next time someone comes to you with a doctrine you are unfamiliar with, I suggest you ask questions - lots of them! Listen carefully to their answers. If they ever answer, "it's a mystery", or "it's strange but I accept it by faith", that means they really don't know. This appeal to mystery to explain away hard things must be rejected in wholesale by believers especially if we would desire to see our brethren grow in knowledge of our Lord. Is the Gospel a mystery? Yes - but only to those who are perishing; not to God's regenerate elect. Was Christ's death a mystery? Yes - but only to those who are perishing. To those of us who have had the truth of Scripture revealed, these things are no longer mysteries, but wonderful doctrines which we understand and in which we rejoice. Now do we understand them fully? Not necessarily. But we have a basic understanding and we continue to learn more and more of His amazing Grace. Do you believe something to be true and not understand why? You may very well be a mystic. I urge you to turn from this way of thinking and diligently seek the answer in Scripture until the Lord reveals this wondrous knowledge to you.